The first indication of the attention to aesthetic detail that runs through the entire Lough Eske Castle hotel site is the six-foot bronze dragon that greets visitors at the top of its long, winding, forest driveway entrance. The hotel has experienced a recent change of ownership away from the Solis brand, but thankfully the new owners have seen fit to keep this magnificent beast on its staff roster, along with a dozen or so other animal (and human) sculptures dotted around the grounds. 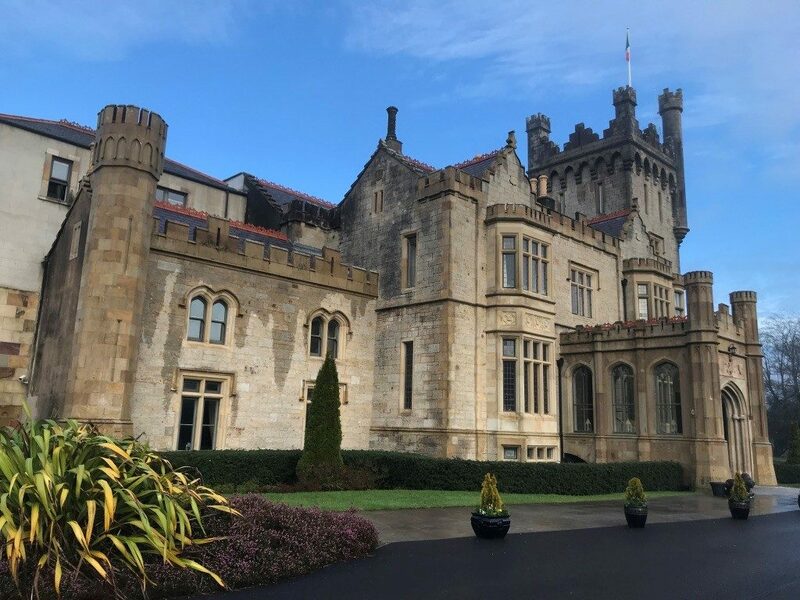 This corner of Ireland’s North West coast is abundant in natural beauty, something the Lough Eske Castle hotel’s original architects, and its current custodians, kept front of mind when considering exterior and interior décor. On this visit in December 2018, with the mist hanging in the woods around the site and the outdoor winter wonderland Christmas lights outside, the sense of seclusion was palpable. The ‘castle’ building itself has some history, built as it was by the local O’Donnell family in the 1400s, rebuilt in the 1860s, burned to the ground in the 1930s and then renovated in its current form in the mid-Noughties. 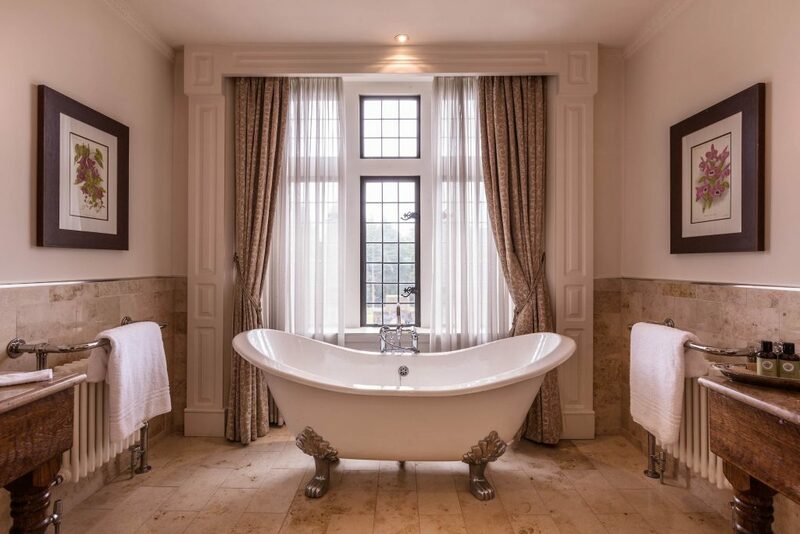 Aesthetically, the exterior has the feeling of two personalities – the restored grandeur of the castle building and the more contemporary dining/function rooms, plus courtyard and garden accommodation that sit somewhere between the two. 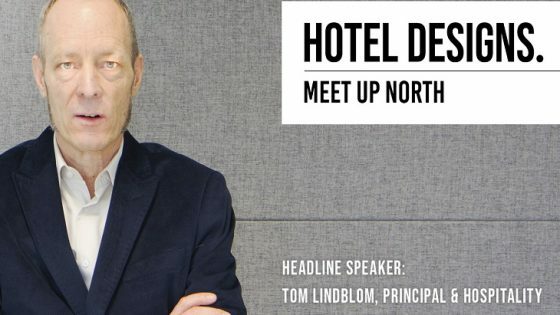 In fact, if you approach from the ‘alternative’ rear entrance and its views of the new-build accommodation building you’d be forgiven for thinking you’d accidentally stumbled into a different hotel. Internally, the same merging of classic and contemporary styles, plus Gaelic flourishes, is to the fore. 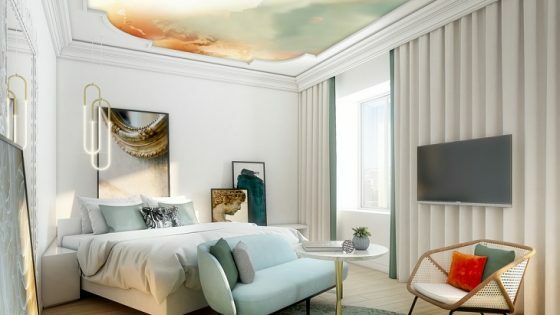 The public spaces are a mix of high-ceilinged larger rooms and cosy nooks, while the 98 guestrooms contain bespoke furniture and commissioned artworks, with décor neutral with wood panelling and space (especially in the huge MEPA-appointed bathrooms) in abundance. 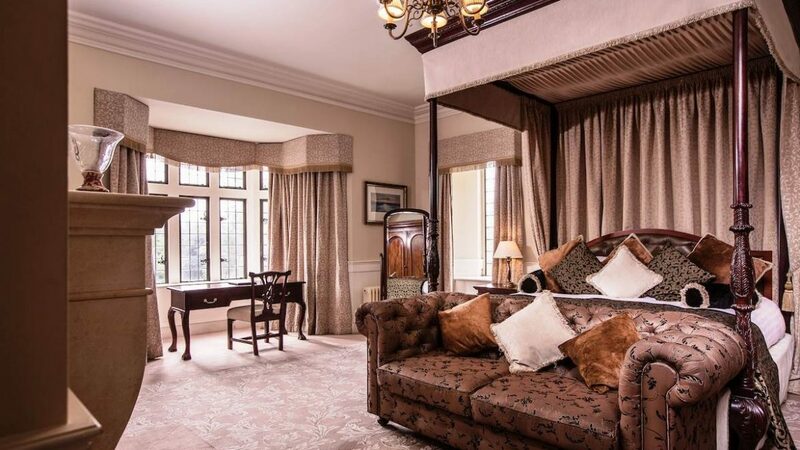 All rooms have oak furniture and the majority feature dramatic four poster beds. There are actually multiple room styles on offer, each sharing the same design cues but managing to feel very distinct – the Castle Suites are all regal flourishes, bare stonework, antiques and lead-lined windows, the Courtyard Rooms are converted stables, while the Garden Suites were built in 2007 during the renovation with a more modern touch. Spas are a given in the world of five-star and Lough Eske Castle has a well-appointed annex in its gardens dedicated to wellbeing, with a glasshouse waiting/relaxation area, indoor pool with hydrotherapy/sauna facilities and secluded treatment rooms – all flooring here is either sandstone or wood, adding to the sense of class and closeness to the natural world. And, of course, being in Ireland the hospitality on offer in the contemporary Cedars Restaurant (clean lines, floor to ceiling windows, views of the castle grounds) and Gallery Bar (floor to ceiling drinks cabinet, leather seating, oak tables) is casually exceptional.